As a key planning agency for the Sacramento region, SACOG is engaged in a wide array of projects and programs ranging from air quality to transportation to housing and regional land-use planning. The common thread in SACOG’s projects and activities is regional collaboration. SACOG serves as a forum for studying and resolving regional issues, and fosters cooperation among all local governments in the Sacramento region. The Metropolitan Transportation Plan/Sustainable Communities Strategy (MTP/SCS) for the Sacramento region pro-actively links land use, air quality, and transportation needs. 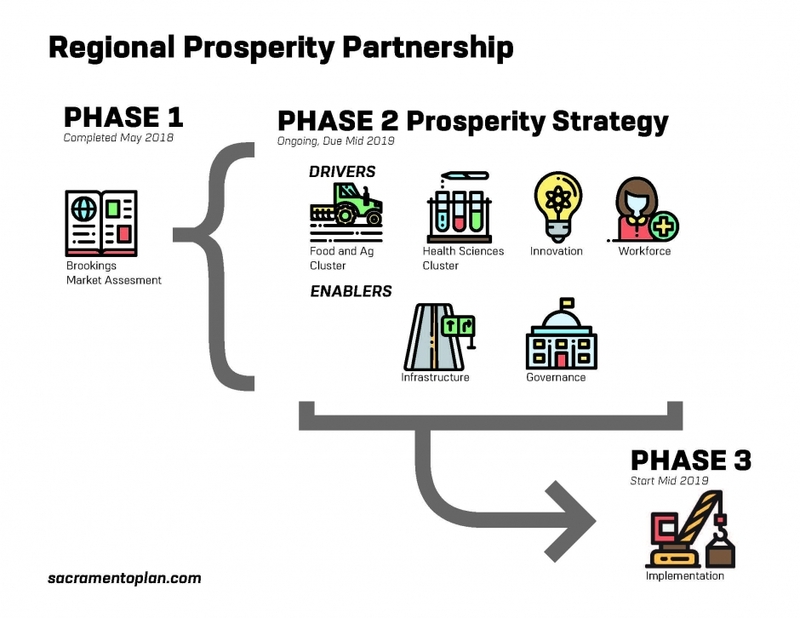 The MTP/SCS supports the Sacramento Region Blueprint, which implements smart growth principles, including housing choice, compact development, mixed-use development, natural resource conservation, use of existing assets, quality design and transportation choice. It also provides increased transportation options while reducing congestion, shortening commute times, and improving air quality. The Metropolitan Transportation Plan/Sustainable Communities Strategy (MTP/SCS) for the Sacramento region pro-actively links land use, air quality, and transportation needs. The current 2016 MTP/SCS was adopted in February 2016. The MTP/SCS is federally required to be updated every four years. 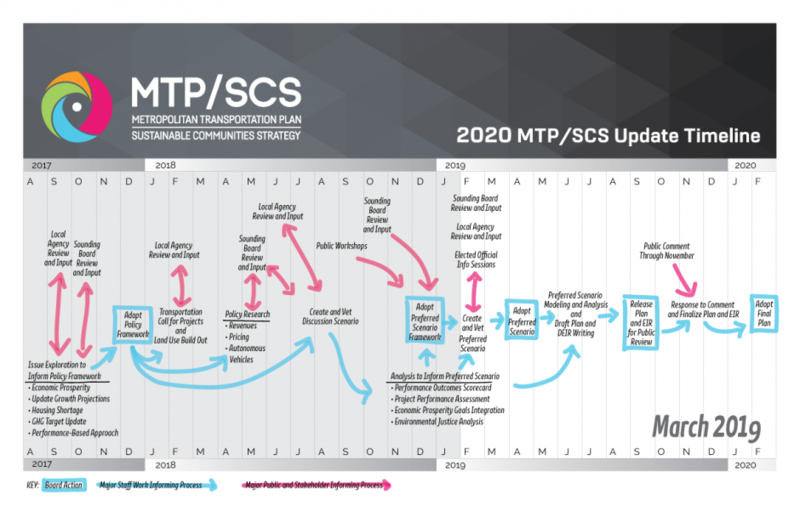 The next MTP/SCS is required to be adopted by February 2020. In 2008, SACOG shifted the planning paradigm to more explicitly include rural areas. Responding to criticism that SACOG’s land use and transportation planning lacked adequate attention to and information about rural parts of the region, the Rural-Urban Connections Strategy project (RUCS) was launched. On September 20, 2012, the SACOG Board unanimously approved the 2013-21 Regional Housing Needs Plan (RHNP). This action was the final stage in adopting 2013-21 Regional Housing Needs Allocation (RHNA), a state requirement to determine the number of housing units cities and counties must plan for in their housing element updates. The most important component of the Plan is that it distributes the allocations housing units in each of four income categories to each city and county in the six county region, including the Tahoe Basin portions in El Dorado and Placer Counties. On December 12, 2013 , the SACOG Board, serving as the Airport Land Use Commission, adopted the Airport Land Use Compatibility Plan (ALUCP) for Sacramento International Airport and the corresponding Initial Study/Negative Declaration. SACOG serves two roles in housing for the six-county Sacramento region. First, as the region’s transportation planning agency, SACOG promotes and provides assistance to local governments to implement the Metropolitan Transportation Plan/Sustainable Communities Strategy. Housing plays a key role in the MTP/SCS, and SACOG is looking for ways to support its member agencies with technical support to housing production to meet the region’s needs. In 2018 the Greater Sacramento Economic Council, Sacramento Metropolitan Chamber of Commerce, Valley Vision, Sacramento Region Business Association, and the Sacramento Area Council of Governments partnered to engage the nationally recognized Brookings Metropolitan Policy Program to conduct a market assessment of the six-county Sacramento region.